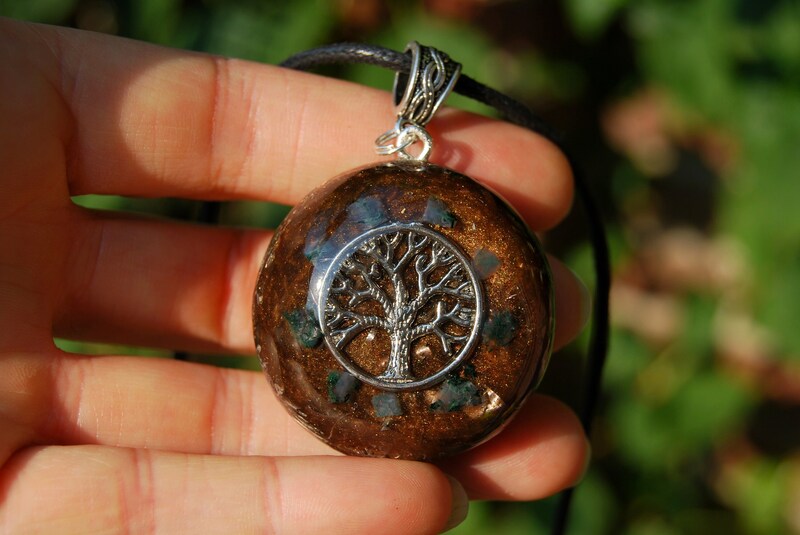 This unique 4 cm / 1.6" in diameter orgone pendant contains aluminium, brass, bronze and copper shavings. 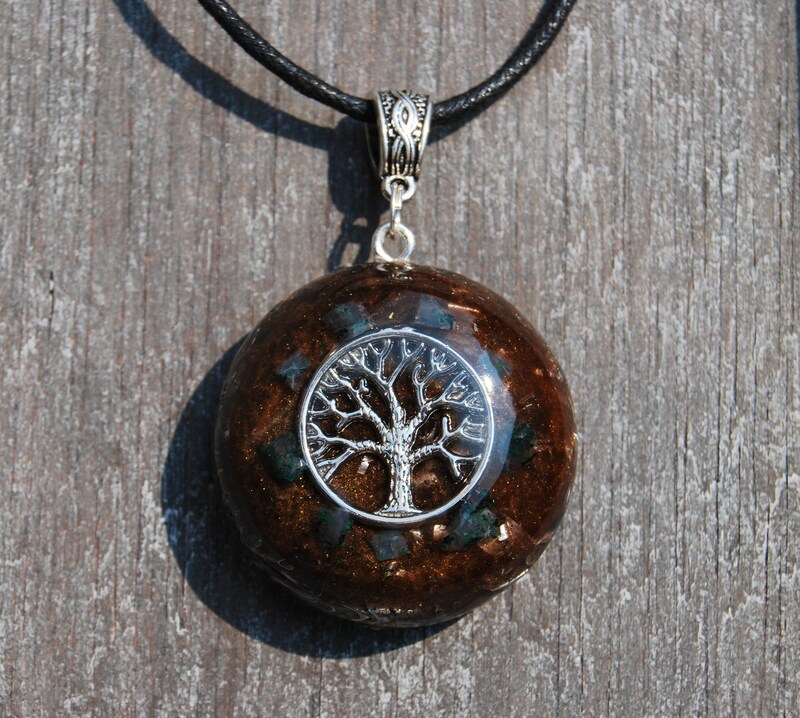 The main stone is raw Moss Agate stone which are carefully placed around the Tree of Life symbol in the front. 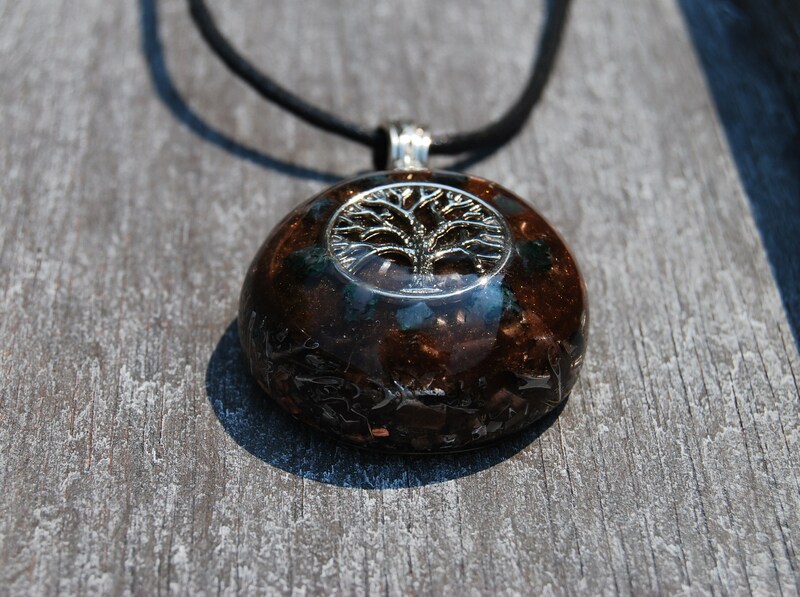 It furthermore contains black Obsidian, Rose Quartz (self - love), Pyrite (to enhance), black Tourmaline (to protect and ground excess energy) ,Rhodizite (to enhance) and clear quartz (for piezo-electric effect) all within a durable resin setting. It consists of lots of metal shavings which is required for the pendant to properly clear stagnant energy according to Wilhelm Reich's research. Black Obsidian Stone is a powerful cleanser of psychic smog created within your aura, and is a strong psychic protection stone. It has powerful metaphysical properties that will shield you against negativity, and their energy may stimulate the gift of prophecy. It an excellent crystal to use when you have been doing spiritual or healing work... as it grounds you to Mother Gaia.